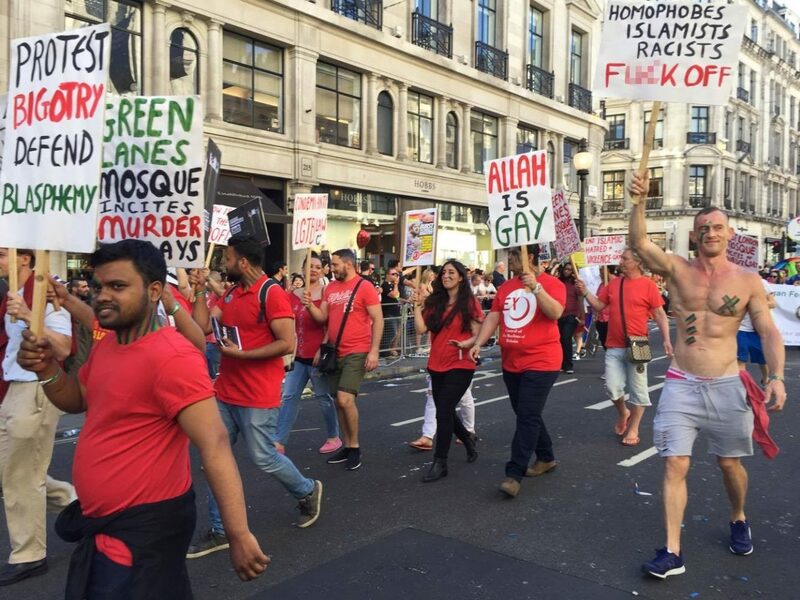 Placards carried by former Muslims and allies at the London Pride march at the weekend have triggered a complaint from an Islamic group who claim the messages displayed are “Islamophobic”. A spokesman for the East London Mosque confirmed that a complaint had been lodged with both the organisers of London Pride and the Council of Ex-Muslims of Britain (CEMB), the organisation responsible for the signs. 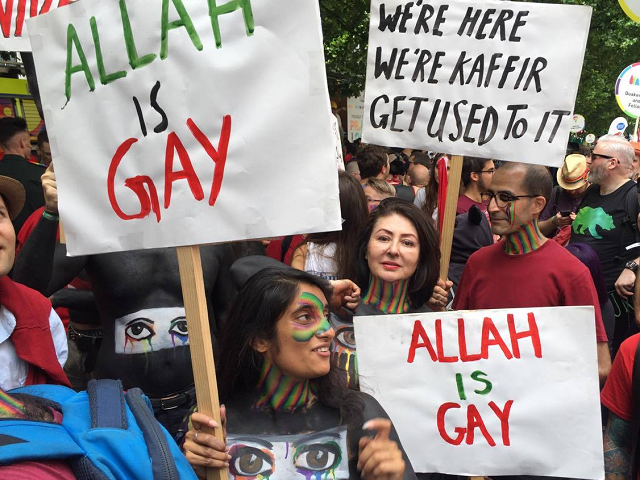 London’s Evening Standard reports the remarks of spokesman Salman Farsi, who said the placards, which included slogans such as ‘Allah is Gay’, ‘F*ck Islamic Homophobia’, and ‘Ex Muslim & Proud’, incited hatred against Muslims. He also said placards that contained phrases like “East London Mosque Incites Murder of LGBTs” and “Green Lanes Mosque Incites Murder of Gays” besmirched “our good name”, and were “based on absolutely groundless reasons”, citing “our track record for challenging homophobia in East London”. Farsi complained of the signs within the world-famous gay pride event: “For us to see such a mainstream event that is supposed to celebrate tolerance and love used as a hate platform was really quite shocking. “One of the signs said ‘Islamophobia is an oxymoron’. 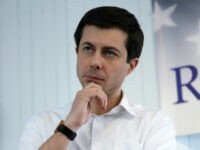 While it has taken nearly a week for the complaint to surface, CEMB revealed they had met some opposition on the day in their own account of events. 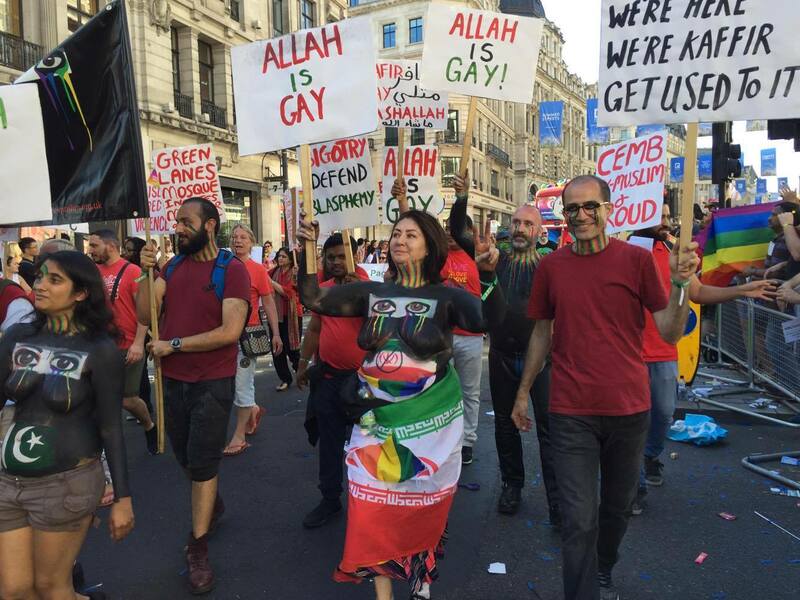 “The march went ahead as planned, though police initially tried to remove placards with the slogan ‘Allah is Gay’ because of complaints of ‘offence’. In addition to placards with other slogans like “We’re Here, We’re Kaffir, Get Used to It”, some also wore body art depicting crying eyes trapped behind the burqa shroud. The organisers of Pride itself said of the incident “We will not tolerate Islamophobia” and that they were now reviewing whether they’d allowed CEMB to join the march again next year. The controversy from the Islamic community over ex-Muslims marching at Pride comes just days after Britain’s first married gay Muslim couple went public with the high level of abuse they had received from other Muslims.